Gelsenkirchen - There was nothing between FC Schalke 04 and 1. FSV Mainz 05 after a keenly-contested encounter that ultimately saw both side's satisfied at the Veltins Arena on Friday night. bundesliga.com rounds up the post-match reaction to Friday night's Matchday 22 opener. Roman Neustädter: We didn't have any tempo or rhythm to our game. Mainz defended well and we didn't find the gaps. The Champions League game against Real Madrid is a different game altogether. We'll need to perform. Ralf Fährmann: Mainz played really well tonight and we have to be happy with the point. We kept a clean sheet. I've always said that I'd wait for my chance and I'm just happy to be playing for Schalke. The anticipation is huge for the Real Madrid game. We're underdogs but they're beatable and we have a chance. 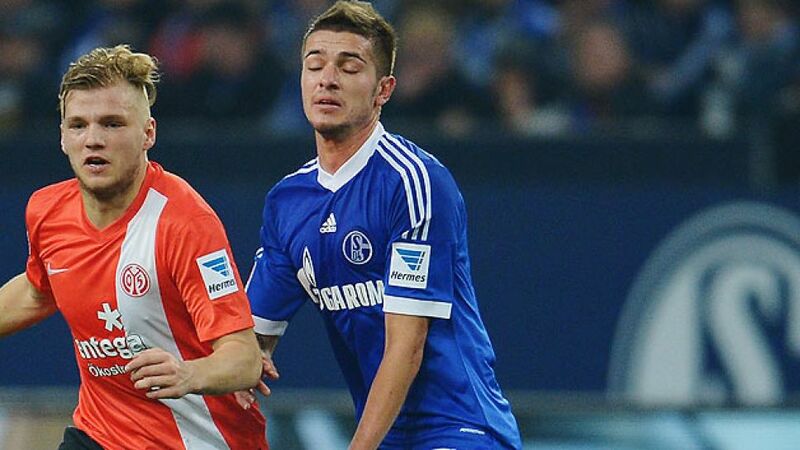 Leon Goretzka: It was a tough game. Mainz did well to make it difficult for us but I think we could have done better going forward. Loris Karius: We'd be happy to finish in ninth place. Anything higher than that would be a bonus for us. I think we were good in the first half, in the second Schalke were better. Now our focus is on Leverkusen. Nicolai Müller: We deserved the point and we want our form to continue. We fear nobody. We'll see what position we're in after 34 games.